A brilliant account of love between two young women overcoming obstacles that may be stronger in this particular culture, but are certainly not exclusive to it. 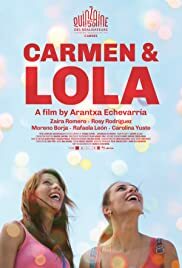 Those who accuse the film of racism and stereotypical visions should listen to the stories of non-gypsy young lesbians who have also heard their mothers cry and beg them to say it's not true. Moving, disturbing, and excellently performed by all its non-professional gypsy actors. Definitely worth watching.